The winner of the Yellow Heart Art 8X10 print giveaway is Jen! Email me, Jen, and I'll get you hooked up with Leonora so you can claim your print! It's NOW time for ANOTHER group sponsor highlight post! Better late, than never right? This giveaway will run through next Monday to make up for it! Anne Franklin Designs is a Colorado based artist who makes all sort of fun handmade goods. In her shop you can find fun pendant necklaces, scrabble game piece necklaces, clutches, key fobs, etc! One winner will win any item from Anne's shop ($15-20) value! Next, we have Little Bird Creations. Jaime makes fun themed coffee cuffs made from felt, dictionary pendant necklaces with sweet words on them, & pincushion rings! She's based in Austin and I'm only 99% jealous. One lucky duck will win a $15 shop credit to Little Bird Creations. Not to mention, if you can't wait until the winner is announced, you can use code YELLOW15 at checkout for 15% off your purchase. No Wooden Spoons is a shop that is based in Germany. 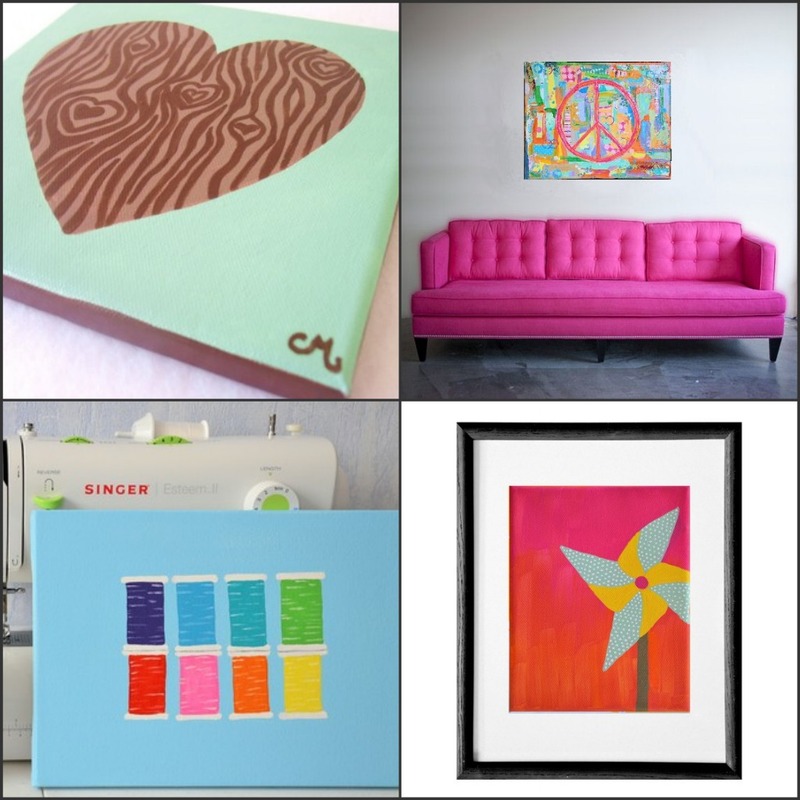 Catherine sells really colorful, bright, and just downright fun paintings in her shop. These are some of my favorites, but really...I'd take any of the paintings in her shop! I love how whimsical and unique her artwork is. She is truly talented, friends. One of you will one your choice of ANY painting in her shop! How will you ever choose? My favorite would have to be No Wooden Spoon's Another Day Another Dream painting! oh i like the teal wristlet from Anne Franklin Designs! The "Sew Colorful" painting at No Wooden Spoons is wonderful! All three shops are quite lovely! 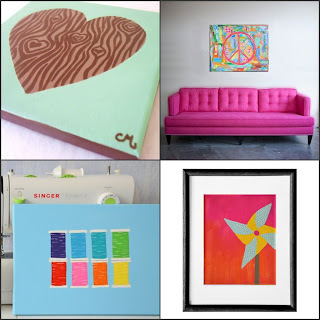 Oooh I love the Wood Grain Love Original Painting - Mint painting! 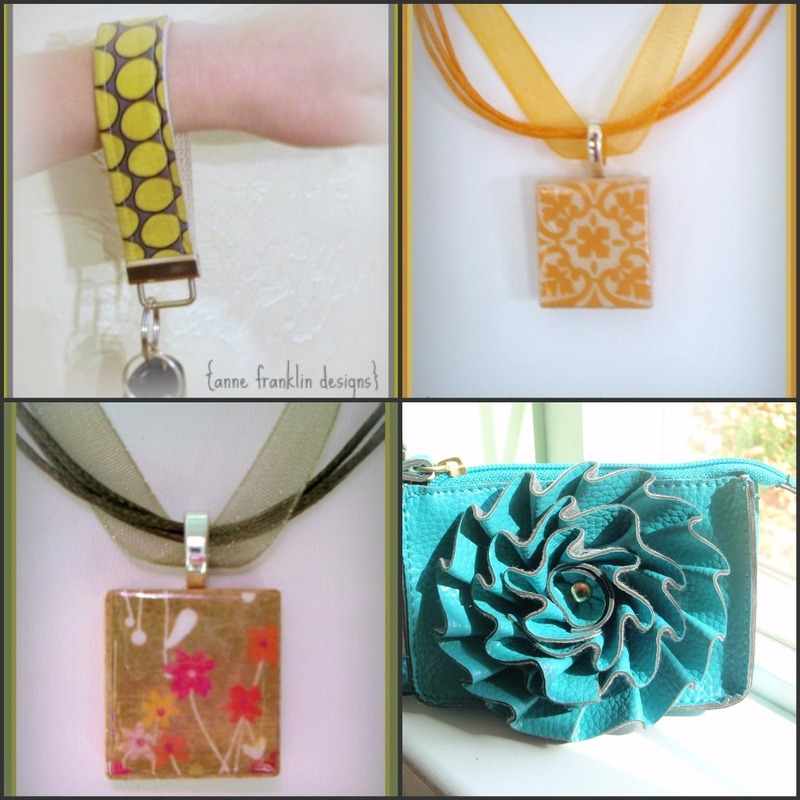 Anne Franklin Designs -- Love those little bags with the big ol' flower! Little Bird Creations -- Dictionary pendants! No Wooden Spoons -- That image of the spools definitely caught my eye first. I tweeted about the giveaways. Good luck! The owl necklace from Anne Franklin is lovely! I die over those coffee cuffs from LBC! They're just so cute! I just love the hands-free key ring from Anne Franklin Designs! I've had my eye on these for a while! I love the "hostess set", the "believe" vintage pendant and the "another day another dream" painting! from Anne Franklin designs -- love the wristlets! from Little Bird Creations -- love the vintage word pendants! from No Wooden Spoons -- love the "Your Heart Is My Home" print! i love anne franklin's copper wristlet. The Lemon Day Dahlia painting from No Wooden Spoons is fabulous...too bad it is reserved. I also like the Obsession necklace from Anne Franklin Designs. As the future wife of a music teacher, I love Anne Franklin's music note necklace. I am also a huge fan of dictionaries which is why I love the dictionary necklaces from Little Bird Creations. I LOVE the teal wristlet from Ann Franklin Designs, and .LBC NEW Adjustable Songbird in Orange-Ready To Ship from little bird creations, and .Original Acrylic Collage Painting 5x5 -- Yellow Songbird from wooden spoons!! I posted this giveaway on FB!! ohhh wow!! i LOVE The Wood Grain Love Original Painting - Mint by No Wooden Spoons!! seriously, the mint color is amazing (matches my nails) and the wood detail is fun! I love the copper wristlet from Anne Franklin Designs!! Everything is so pretty! I especially love the "your heart" painting from No Wooden Spoons. 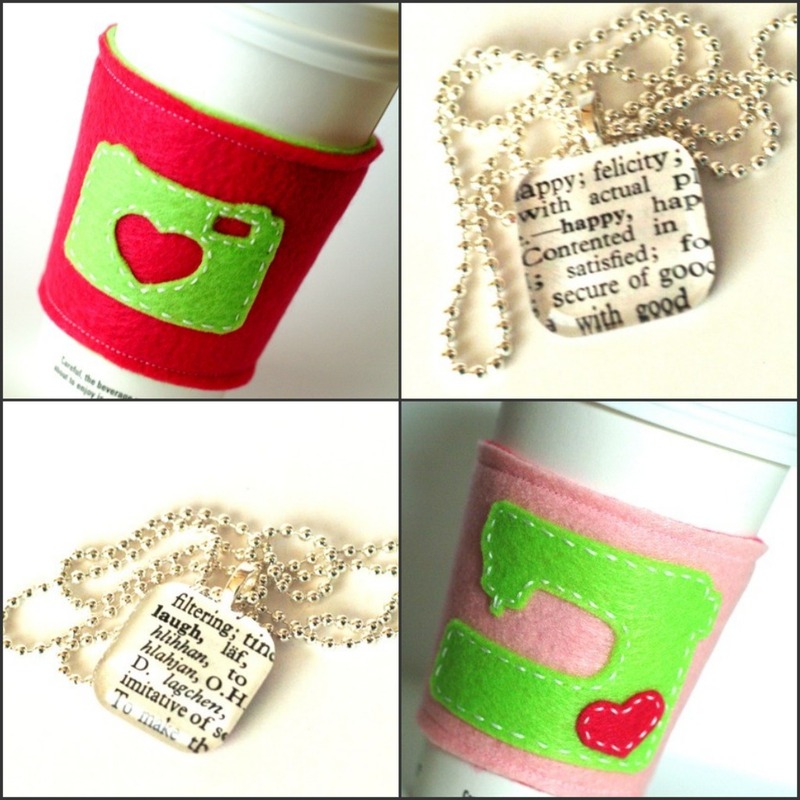 I love Little Bird creations Wish pendant and all her coffee cozies!!! :) and I adore No Wooden Spoons' You Are Here cloud painting!! the Copper Wristlet from Anne Franklin is SOOO yummy! love it! I adore the pinwheel print from No Wooden Spoons & I *love* the monsterlicious coffee cuffs from Little Bird Creations! I love the coffee cuffs from little bird creations!! I really like the Find your Yellow or Magic Tree painting from No Wooden Spoons & I really like the Silver Wristlet from Anne Franklin Designs...Such a great giveaway! Love the woodgrain love painting from no wooden spoons! My favorites are: teal wristlet(Anne Franklin), the yellow rosette pincushion (Little Birds), and Magic Tree (No Wooden Spoons). They all have such nice things! Great giveaway! 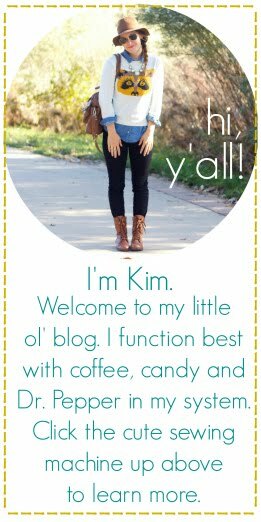 shared the love on facebook and over on my blog! Oh everything is so cute in all the shops, but I really love No Wooden Spoons new spools painting! It's just way to cute! I coincidentally love the Yellow Songbird at No Wooden Spoons! I love the "Find Your Yellow" painting on Wooden Spoon - sooo cute! I would have to say my fave item is the teal wristlet by Anne Franklin. I love the wood grain love in mint! Anne Franklin Designs - the Teal Wristlet! Little Bird Creations - the Monsterlicious Coffee Cuffs!